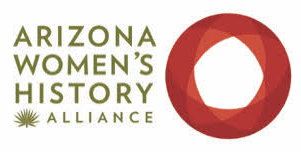 Donations help the Arizona Women’s History Alliance fund the Alliance, the biennial Women’s History Symposium, the Frances Willard Munds Women Suffrage Statue campaign, and other educational programs. To donate to the Frances Willard Munds Women Suffrage Statue, click here. To donate the Arizona Women’s History Alliance Educational Programs, click one of the donate buttons below.